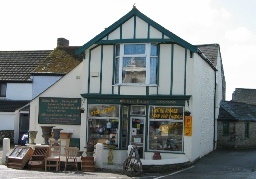 Olden Days is a well established family run Antique shop based in Cornwall, specialising in old pine furniture, clocks, collectables, period furniture and artefacts. We sympathetically restore for the trade and individuals alike. We offer a bespoke furniture service allowing you to design your perfect piece in a choice of quality woods. We sympathetically restore for the trade and individuals alike. We offer a bespoke furniture service allowing you to design your perfect piece in a choice of quality woods, including pine, oak, chestnut, mahogany and cherry.